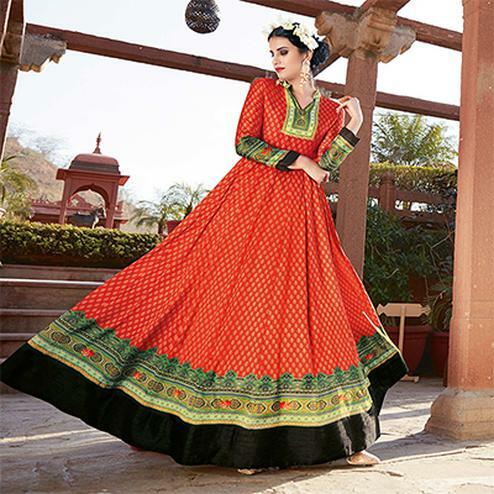 This designer style slit cut anarkali suit would definitely make the wearer feel amazing. This semi stitched suit has got tapetta silk fabric kameez gracefully decorated with heavy floral pattern embroidery on yoke and sleeves cuff. Available with matching color dull santoon fabric bottom, santoon lining and chiffon dupatta having lace border as shown. 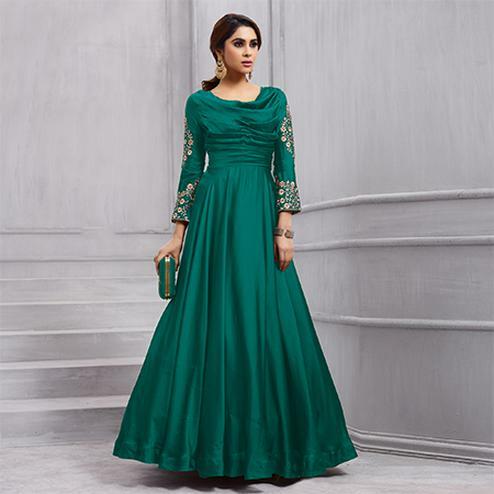 Women can wear this anarkali dress for wedding receptions, functions and special occasions. Buy it now.